I have an IBM 466 DX2 with the default CD-ROM drive installed like normal. I wanted to install Windows 95, so I first tried to install on top of the version of DOS already on the hard drive. It had the driver for the CD-ROM installed and booted into setup. Partway through setup, it detected a previous version of Windows on the hard drive, and said that I needed to get a Windows 95 upgrade. Of course, I wasn't going to find that, so I had DOS format the hard drive. I then tried to do a install with the boot floppy. When booted, it displays an Oak Technologies CD-ROM driver, but then says it doesn't find a CD-ROM drive and aborts. I need to find a driver that works with the Windows 95 boot disk so I can boot into setup. 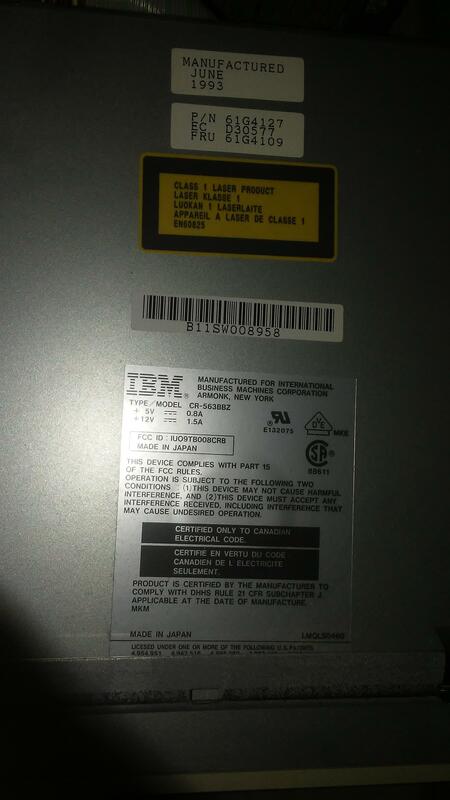 From your pictures you have a CD-ROM manufactured by Matsushita for IBM with a model number of CR-563BBZ. This drive uses Matsushita's proprietary interface, so won't work with the the OAKCDROM.SYS driver which only supports CD-ROM drives using the IDE interface. 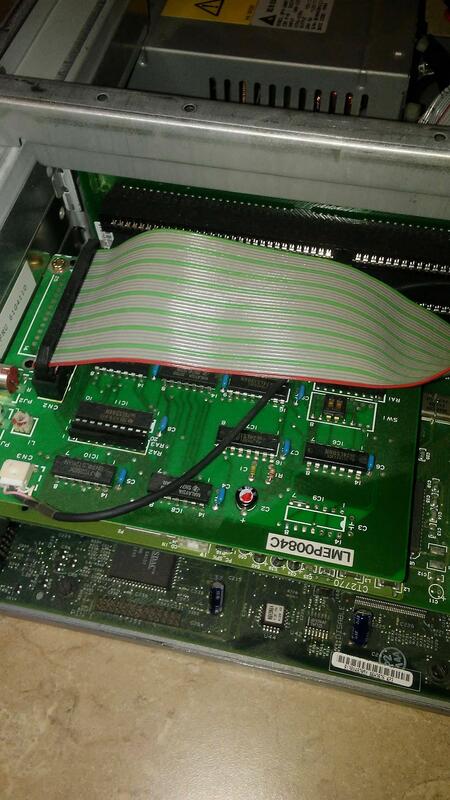 It is however not connected to your sound card, its connected to it's own LaserMate CD-ROM interface card (labelled LMEP0084C). Your sound card is just behind it, it's the card with the silk screened CT2770 at the top. If the device driver CDMKE.SYS fails to load, displaying a message like Interface board or CD-ROM is not ready., then you can try each of the following numbers for the the /P: parameter: 310, 320, 340, 350, 360, 370, 380, 390, 3A0, 3B0, 3C0, 3D0, 3E0, or 3F0. Other numbers you can try with the /SBP: option are 240, 260, and 280. 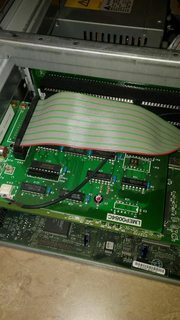 However your Sound Blaster 16 is very likely using port 220 and you can verify this by checking to see if the jumpers labelled IOS0 and ISO1 at the bottom middle of the board are both installed. If they're not both installed then it's using port 240 if ISO0 is not jumpered but ISO1 is jumpered, port 260 if ISO0 is jumpered but ISO1 is not jumpered, or port 280 if neither ISO0 nor ISO1 are jumpered. Not the answer you're looking for? Browse other questions tagged ibm-pc windows-95 driver cd-rom or ask your own question.